The Sunday Morning Hangover: This Sunday January 14 on the Hangover! This Sunday January 14 on the Hangover! 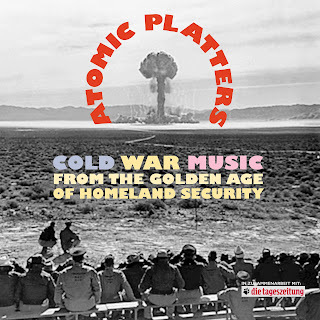 A Celebration of our upcoming Atomic War in the Mideast-excerpts and highlights from the incredible box set: ATOMIC PLATTERS: COLD WAR MUSIC FROM THE GOLDEN AGE OF HOMELAND SECURITY, a five CD/1 DVD box set capturing the best in vintage atomic music and film.  Over 100 Cold War tracks featuring CONELRAD favorites Slim Gaillard, Janet Greene, The Goldwaters, Bill Haley, Ann-Marget, Carl Perkins, Carl Mann and many, many more!  Two full-length spoken word 'scare' albums from 1961 re-issued for the first time: IF THE BOMB FALLS and THE COMPLACENT AMERICANS!  More than two dozen frighteningly naïve Public Service Announcements, many voiced by such celebrities as Groucho Marx, Pat Boone and Johnny Cash! 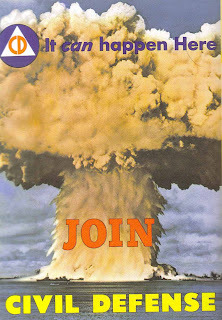  A DVD with nine short-subject civil defense and anti-Communist films!  A nearly 300 page hardbound book bursting with Cold War era photos and bizarre art with liner notes by CONELRAD co-founder Bill Geerhart! The Songs of Betty Boop!